I was a Christmas baby, was given a Christmas-y name, and have always considered it “my” time of year. And yet this was the period of the year that I most dreaded after losing my husband. The holidays are supposed to be the happiest time of the year. But for many they are the hardest. For some they can trigger depression and anxiety. For those who are alone, who have suffered losses, whose relationships are not what they want them to be, it can be very difficult to get through this “merry” time of year. They may long for holidays past, and feel surges of grief for those who are gone. Loneliness may feel more intense. I hear it from my patients every year. Some feel sad that their lives are not what they want them to be. They compare themselves to others that they see around them and the idealized images depicted in the media. They wince inside as they hear others talk about their holiday celebrations. Others are overextended both emotionally and financially at this time of year. They feel drained, exhausted, and eager for the holidays to pass. They may feel obligated to attend gatherings that they do not enjoy. They dread the possibility of family conflicts. They may feel inadequate as they encounter family and friends. They may eat too much, drink too much, sleep too little, and neglect to exercise. Plan ahead. Seek balance between times with others and time alone. We vary in terms of what we need to refuel ourselves. Think about what your individual needs are. Avoid the urge to withdraw excessively, or the sense of obligation to do too much. Say no to invitations if you do not want to go, without guilt, and leave parties when you are ready. You have the right to make choices. Set limits on your spending, your eating, your drinking. Make a budget and stick to it. Be conscious about your diet and alcohol consumption. Many who are down are tempted to drink and eat more, and may temporarily feel better while drinking, but it tends to worsen the mood and can lead to depression. Make time to exercise. A daily walk can do wonders for your mood. If it is too cold outside, you could find indoor locations (e.g. the mall) where you could walk. Something as simple as a 30-minute walk can really boost your spirits. Reach out to others. Invite a lonely neighbor to do something with you. Consider volunteering. There are many others who struggle with the holidays, too, and you can get a boost from the pleasure of helping others. Don’t wait for others to approach you, let your friends and family know if you would like to do more with them during this time of year. Indulge yourself in healthy pleasures. Read that book you’ve been wanting to find time for. Watch movies during your off time. Consider taking a drive or a trip somewhere. I have both personal and professional experiences that have opened my eyes to the emotional challenges that we face throughout our lifetimes. This motivated me to spend my life as a psychiatrist specializing in women’s mental health, and to write the new self-help book Finding Your Emotional Balance: A Guide for Women. During the stressful periods of our lives, we can find ways to keep ourselves balanced with some healthy strategies. 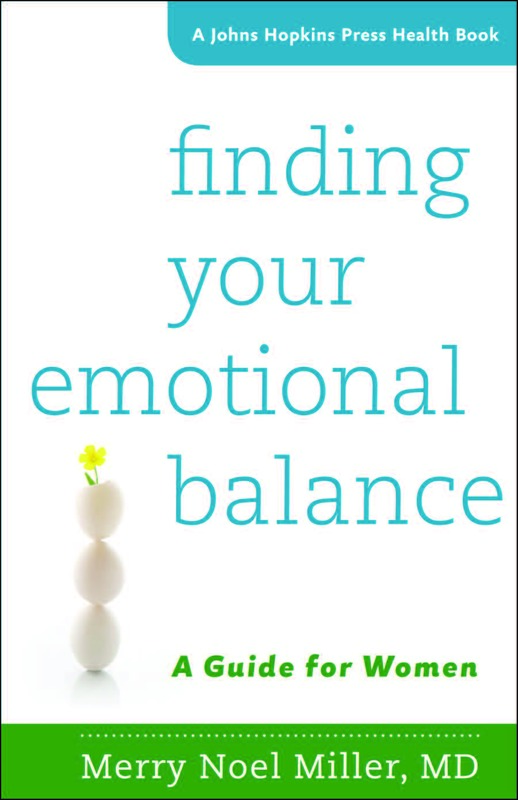 Merry Noel Miller, MD, is a professor of psychiatry at Quillen College of Medicine, East Tennessee State University and the author of Finding Your Emotional Balance: A Guide for Women. The most recent issue of the journal American Imago featured four essays focused on grief and loss. 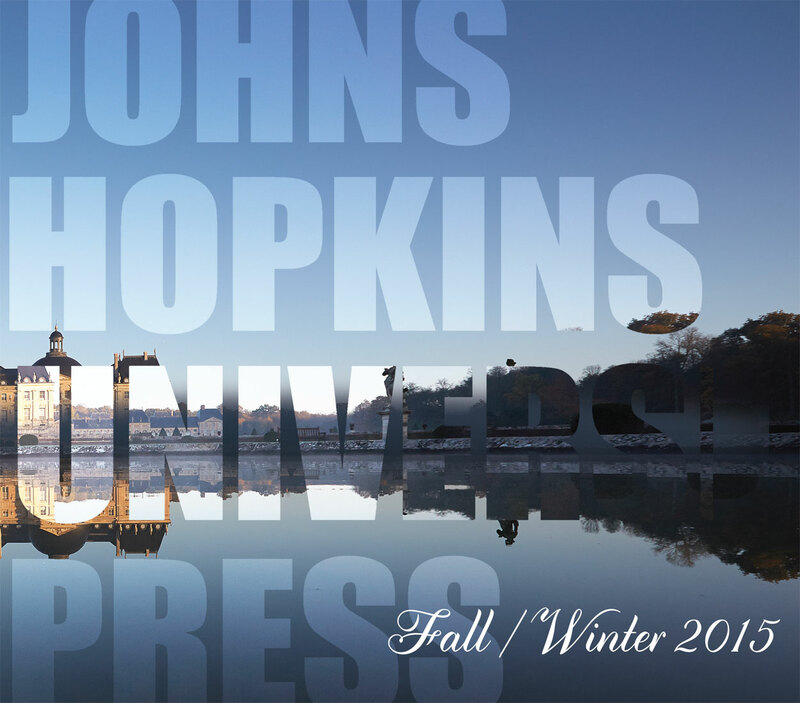 The issue, titled “Memory and Remembrance: Essays in Psychoanalytic Autobiography,” contains “Lockout: Spacing Trauma and Recovery in the Aftermath of the Virginia Tech Shootings,” an essay written by Virginia Tech University faculty member Stefanie Hofer. She lost her husband, Jamie Bishop, on April 16, 2007 during the deadliest school rampage in the US history. Hofer joined us to talk about her post-traumatic writing and how it has helped her to persevere and heal. 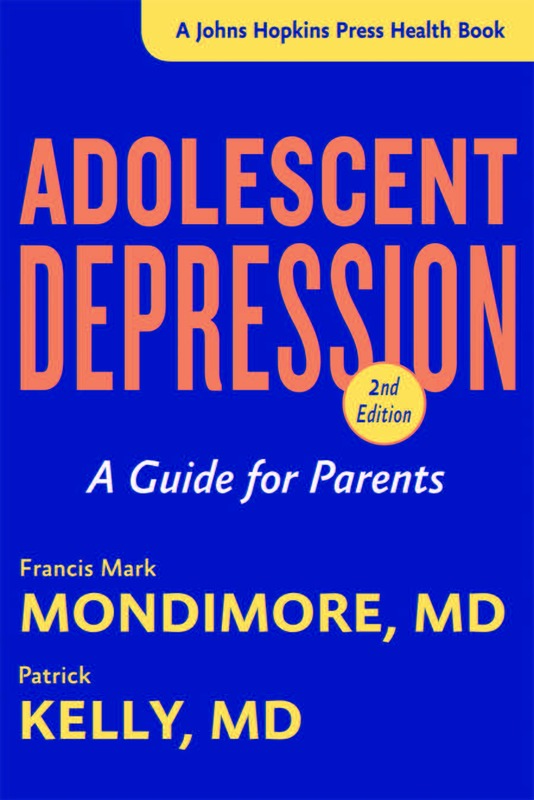 In Adolescent Depression, psychiatrists Francis Mark Mondimore, MD, and Patrick Kelly, MD, explain that serious depression in adolescents goes beyond “moodiness.” Depression is in fact an illness—one that can be effectively treated. Incorporating the latest research from the field, the authors describe the many forms of depression and the many symptoms of depression in young people—from sadness to irritability, self-harm, drug and alcohol abuse, and violent rages. When neurobiologist Elizabeth M. Adler was diagnosed with non-Hodgkin lymphoma almost twenty years ago, she learned everything she could about the disease, both to cope with the emotional stress of her diagnosis and to make the best possible decisions for her treatment. 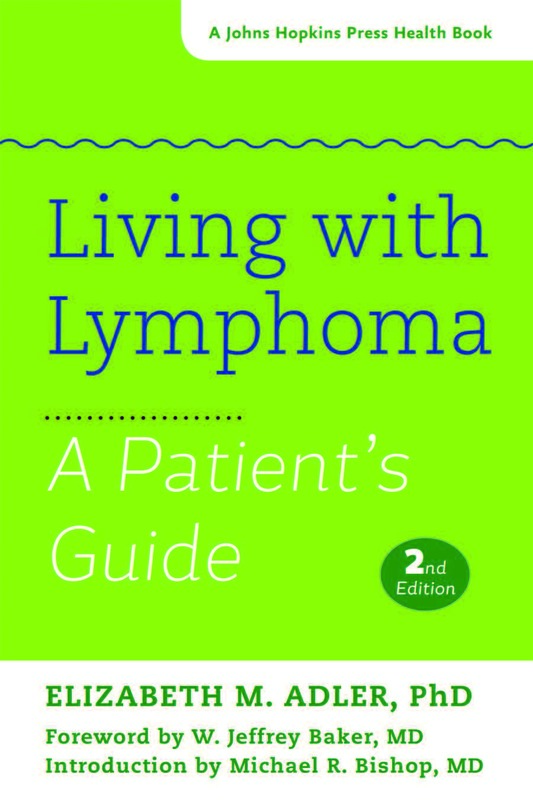 In Living with Lymphoma, she combines her scientific expertise and personal knowledge with a desire to help other people who have lymphoma manage this complex and often baffling disease. A twelve-year cancer survivor and oncology rehabilitation specialist, Dr. Julie K. Silver wrote After Cancer Treatment to help others recover from the exhaustion and physical devastation that often follow treatment. 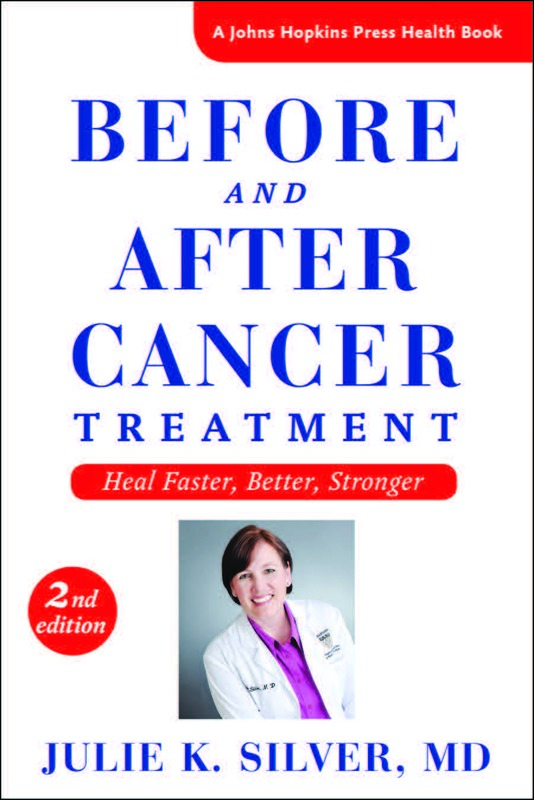 This new edition of the book, retitled Before and After Cancer Treatment, describes improved therapies, better delivery of care, holistic care options, and energetics. In covering the benefits of prehabilitation strategies, which improve physical and emotional strength before beginning therapy, the book adds another dimension to the experience of cancer treatment. 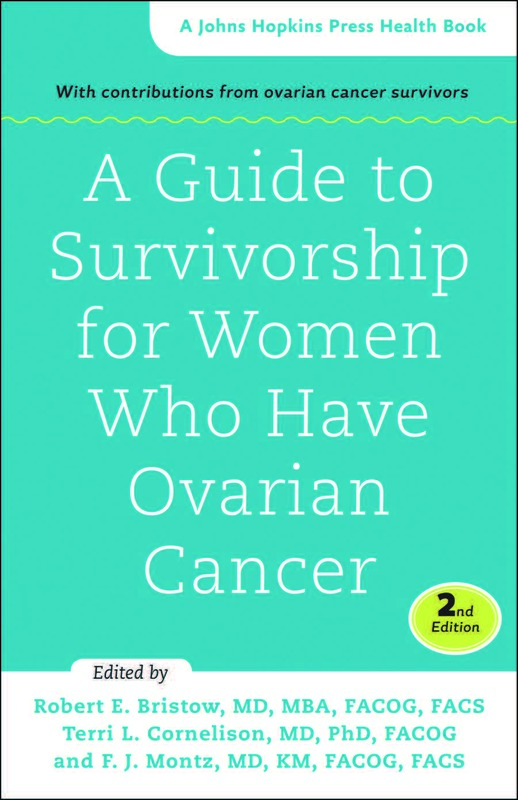 This updated and expanded second edition offers a wealth of information to ease the physical and emotional suffering of women who have ovarian cancer. The expert authors include highly respected and experienced oncologists, gynecologic oncology nurse specialists, researchers, and ovarian cancer survivors. Throughout the book they emphasize the concepts of survivorship, or living life well in the face of daunting uncertainties, and self-determination: the right of each patient to be informed, involved, and in control of her care. 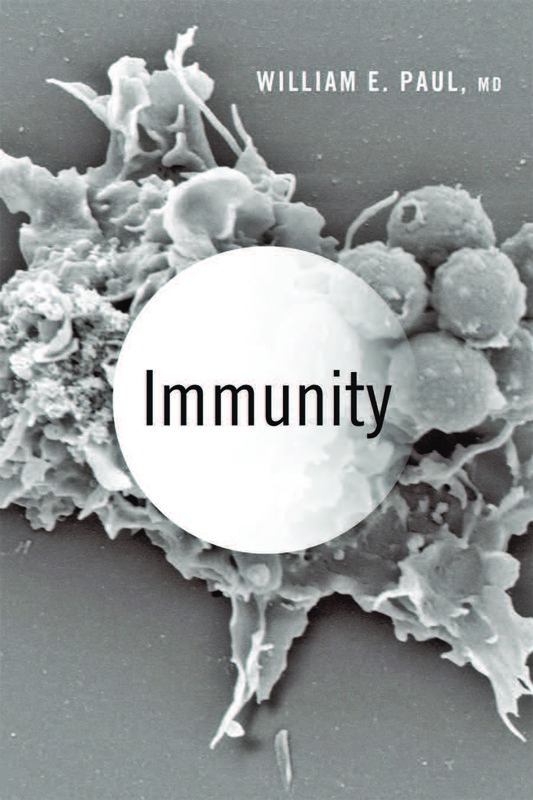 Packed with illustrations, stories from Dr. William E. Paul’s distinguished career, and compelling narratives of scientific discovery, Immunity presents the three laws of the human immune system—universality, tolerance, and appropriateness—and explains how the system protects and harms us. From the tale of how smallpox was overcome to the lessons of the Ebola epidemic to the utility of vaccines and the hope that the immune system can be used to treat or prevent cancer, Dr. Paul argues that we must position ourselves to take advantage of cutting-edge technologies and promising new tools in immunological research, including big data and the microbiome. Women are twice as likely as men to become depressed. While they seek help for mental disorders more often than men, they also seek to help others, trying to keep everyone happy while taking care of parents, spouses, and children. Sometimes, doing it all is doing too much. Dr. Merry Noel Miller offers women of all ages advice for coping with life’s challenges while increasing its joys. Drawing on her three decades of experience as a psychiatrist specializing in women’s mental health—as well as her own personal struggles with depression and grief—she explains the special vulnerabilities and strengths of women during adolescence, the childbearing years, menopause, and late in life. 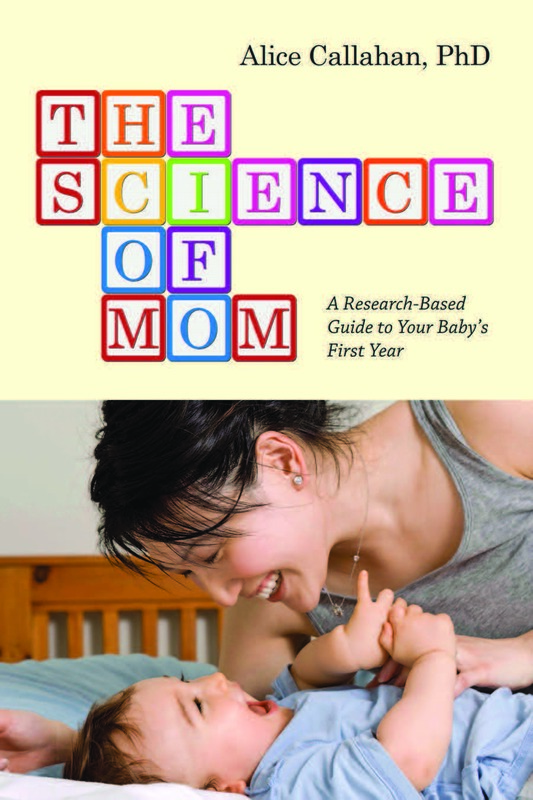 In this friendly guide through the science of infancy, Science of Mom blogger and PhD scientist Alice Callahan explains how non-scientist mothers can learn the difference between hype and evidence. Readers of Alice’s blog have come to trust her balanced approach, which explains the science that lies behind headlines. The Science of Mom is a fascinating, eye-opening, and extremely informative exploration of the topics that generate discussion and debate in the media and among parents. From breastfeeding to vaccines to sleep, Alice’s advice will help you make smart choices so that you can relax and enjoy your baby. In The Traumatized Brain, neuropsychiatrists Drs. 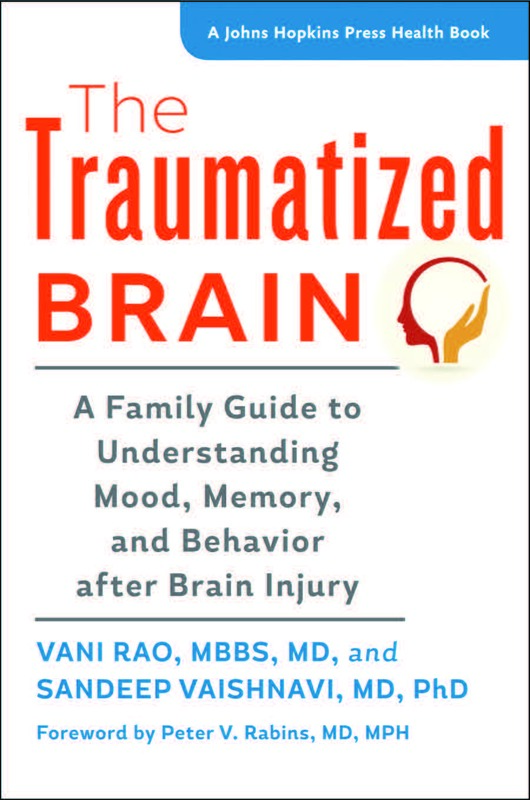 Vani Rao and Sandeep Vaishnavi—experts in helping people heal after head trauma—explain how traumatic brain injury, whether mild, moderate, or severe, affects the brain. They advise readers on how emotional symptoms such as depression, anxiety, mania, and apathy can be treated; how behavioral symptoms such as psychosis, aggression, impulsivity, and sleep disturbances can be addressed; and how cognitive functions like attention, memory, executive functioning, and language can be improved. They also discuss headaches, seizures, vision problems, and other neurological symptoms of traumatic brain injury. 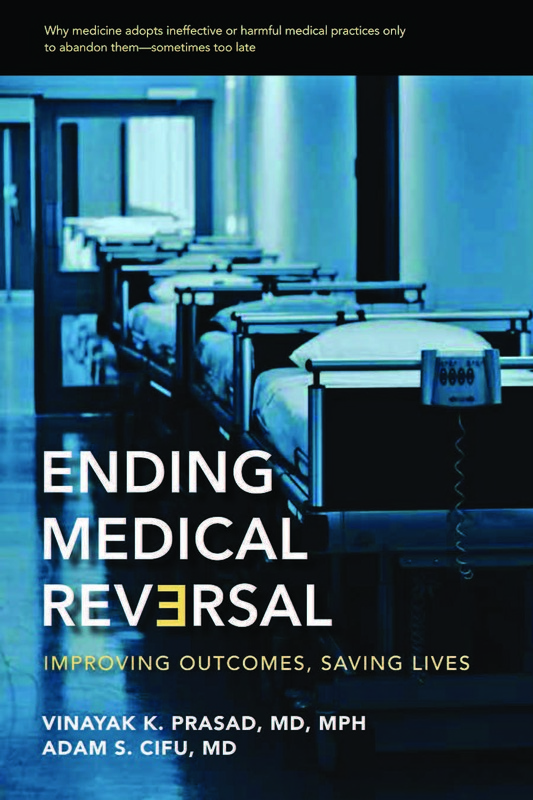 Medical reversal happens when doctors start using a medication, procedure, or diagnostic tool without a robust evidence base—and then stop using it when it is found not to help, or even to harm, patients. Drs. Prasad and Cifu narrate fascinating stories from every corner of medicine to explore why medical reversals occur, how they are harmful, and what can be done to avoid them. 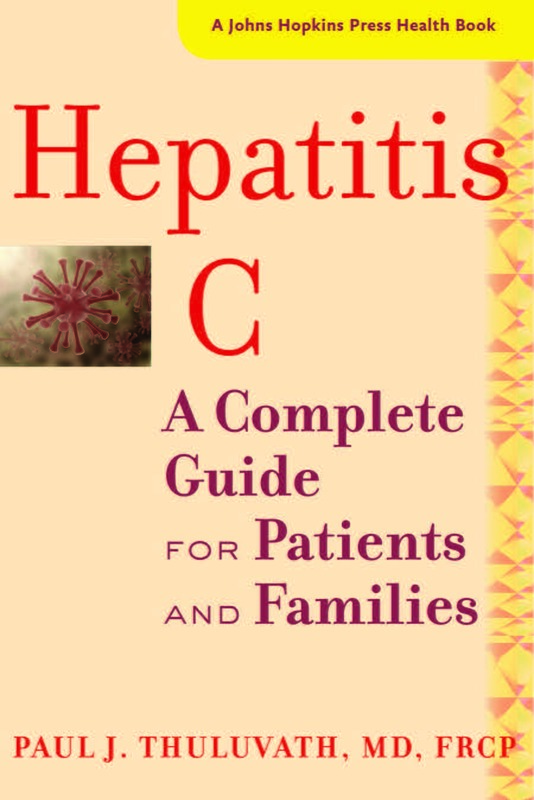 This book is a comprehensive guide to hepatitis C, which affects about 3 percent of the world’s population—3 to 4 million people in the United States alone. Some people with acute hepatitis C infection will be cured without any treatment, but when hepatitis C becomes chronic it may cause cirrhosis, liver cancer, and death. World-renowned gastroenterologist and liver specialist Dr. Paul J. Thuluvath provides detailed information about the disease and its diagnosis and management, including dramatically improved treatments that have recently emerged. May is National Mental Health Awareness Month, and we are proud to offer this sampling of our many books on mental health and related topics—works which have informed, inspired, and comforted readers around the world. by Francis Mark Mondimore, M.D. by Francis Mark Mondimore, M.D., and Patrick Kelly, M.D. by Susan J. Noonan, M.D., M.P.H., with a foreword by Timothy J. Petersen, Ph.D., Jonathan E. Alpert, M.D., Ph.D., and Andrew A. Nierenberg, M.D. by Dinah Miller, M.D., Annette Hanson, M.D., and Steven Roy Daviss, M.D. by Mark D. Miller, M.D., and Charles F. Reynolds III, M.D. by Nancy L. Mace, M.A., and Peter V. Rabins, M.D., M.P.H. Is mental health among college students continuing to decline? Is mental health among college students continuing to decline, as various headlines suggest? This year’s “The American Freshman: National Norms 2014” survey, released at the beginning of February, again found “record” lows. Among the more than 150,000 first-year students from more than two hundred universities, only about half—the lowest number since the survey began—rated their emotional health as “above average or highest 10%.” And nearly 10 percent reported “frequently feeling depressed in the past year,” a 3 percentage-point increase over five years ago. An article in the Chronicle of Higher Education suggested that this is significantly higher than in the general population, where the CDC cites a nearly 5% prevalence rate of depression among 18-to-39-year olds. Are college students really more depressed on average than young adults in general? If so, what will it take to reverse the trend? Feeling frequently depressed as a college freshman may or may not be equivalent to having depression, an illness that can interfere with both academic and social functioning. The CDC data relies on validated, more extensive depression screening questionnaires, while the freshman survey asks students to bubble in “frequently,” “occasionally,” or “not at all” to the item “felt depressed” (among other items such as “was bored in class,” or “discussed religion”). But the National Norms survey is a powerful snapshot which also captures other concerning trends. For example, fewer students socialized in person with peers, as they spent more time on social media. Research has shown that in the college population, loneliness is a risk factor for depression and for poorer physical health, and that loneliness and relationship difficulties are main contributors to suicidal thinking among students. In my clinical experience working with the college population, there’s a cultural reluctance to admit vulnerability to, or discuss problems with, one another. Expectations are high that college will be fantastic; when it seems otherwise, students assume the fault lies within them. Difficulties then tend to surface when they’ve grown more severe, as when a classmate cuts herself or someone is taken to the emergency department because of intoxication. And this reinforces the myth that mental health is an all-or-nothing quality. In fact, like physical problems, emotional problems occur on a spectrum. Helping young adults understand this—and university administrators plan for this—might help create healthier communities. The American Freshman survey also notes that more students are turning to counseling, and it’s certainly critical to ensure that schools have adequate clinical resources in place to meet student need. But in addition, programs that address the campus community as a whole are essential in addressing—and exposing—the spectrum of emotional issues. Workshop-style sessions on stress management, relationships, and meditation, for example, open to the entire student community and not just to counseling center patients, begin to provide a more realistic view of the universality of some emotional difficulties. Surveying students anonymously about their emotional health allows some assessment of emerging adult mental health, but creating forums were they can share stories of recovery and resilience might begin to more accurately portray student emotional health on campus. Doris Iarovici, MD, is a psychiatrist at Duke University Counseling and Psychological Services and the author of Mental Health Issues and the University Student, published by Johns Hopkins. Comments Off on Is mental health among college students continuing to decline? In the film Still Alice, Alice Howland is a linguistics professor who endures, at the unusually young age of 50, dementia symptoms caused by a form of young onset Alzheimer’s that runs in her family. Although this type of Alzheimer’s is rare, the dementia symptoms are the same as the more common form of the disease with which more than 5 million older Americans are living. This movie poignantly portrays Alice as she struggles with the painstaking loss of herself, including her career, individuality, cognition, and connection to the world around her with disturbing swiftness. Watching the movie, I was primarily transfixed by the impact Alzheimer’s had on those around her as Alice faded into the darkness of dementia, specifically the effect on her three grown-up children (also at risk of the disease, which is 100% passable to offspring) and the emotional devastation experienced by her grieving husband. This disease is not just destructive to the person diagnosed with Alzheimer’s but also forever alters what family members have come to know, expect, and adore about their loved one over the years: those individual expressions and ways of interacting with which we become lovingly familiar with. The disease takes away pieces of our loved one, sneaking up little by little until family members can no longer recognize the person or the cherished relationship any more. And the toll on these family members is shattering, yet there is no end in sight, no cure, no prevention, and no way to effectively slow it down. Caring for a person with dementia brings with it much more work (and stress) than caring for someone with other types of illnesses. It can be a long journey, and if caregivers do not take time for themselves, they will not be around to take care of the person with dementia. The following is the story I often share about my mother, Peggy, and is a classic example of the devastating effects of caregiver stress. She was thrust into the role of caring for my father, who was diagnosed with Alzheimer’s. When my father’s health began to fail and he began to present memory loss and other signs and symptoms of dementia, my mother stepped into the role of being his full-time caregiver. Some of her friends had been caregivers of spouses with dementia and she had witnessed what a hard and stressful job it was. I offered to help, but my mother insisted she was okay, and would alert me if his condition became unmanageable. However, in spite of this, disaster struck. One night, after two years well into the care journey, my mother and father sat down to dinner together. They were alone in their home. My mother suffered a massive heart attack. My father’s reactions to this emergency were slowed by his dementia, which was far more advanced than anyone realized. By the time help was summoned, my mom was already gone. If only I had learned how the overwhelming stress of caring for a loved one devastates the primary family caregiver who selflessly takes on too much, refusing to ask for or accept help. This personal experience has driven my passion for education to all caregivers, both family and professional, in the awareness for caring for themselves, along with the tips and tools to assist them in effectively caring for adults with any form of dementia. My vision is to bring light into the darkness of dementia through support, encouragement, education, and hope. 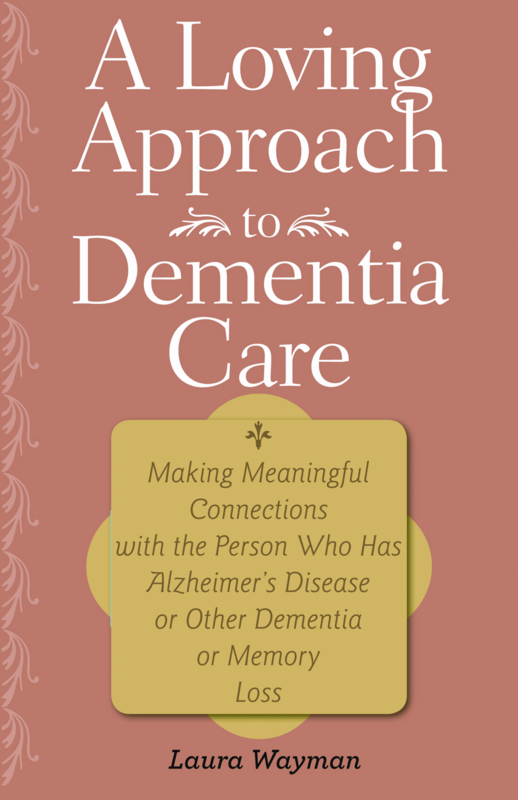 My book, A Loving Approach to Dementia Care, is a special guide, filled with respect, calmness, creativity—and love. Laura Wayman holds an associate in arts degree in gerontology and is a certified social services designee. She has over a decade of experience in and a strong dedication to quality aging. She is the director of dementia education and services for Comfort Keepers (Sacramento). the CEO of The Dementia Whisperers, Inc., and a sought-after speaker on issues of aging.